Highlight will be making a comeback with a special mini album this month! Back on October 29, Highlight treated fans to a special digital single, "Take Care", but it turns out that the single was a pre-release leading up to a special mini album, coming this November 20. Highlight's upcoming special mini album will contain a song that all 5 members of Highlight recorded before Doojoon's enlistment, as well as other all-new tracks dedicated to their fans, Light. However, Highlight do not plan on carrying out broadcasts promotions for this special mini album comeback; instead, the boys have a solo concert scheduled from November 24-25 to end their year a little early. Previously, Highlight's Kikwang hinted that the group recently wrapped up their final broadcast recording as a group for a while. It turns out, this recording was for KBS2's 'Yoo Hee Yeol's Sketchbook', which is set to air this November 2 at 12:50 PM KST. This broadcast will in fact be Highlight's final broadcast appearance as a group before the members' military enlistment plans. Currently, Highlight's Yoseob has confirmed his enlistment date next for January 24, 2019. 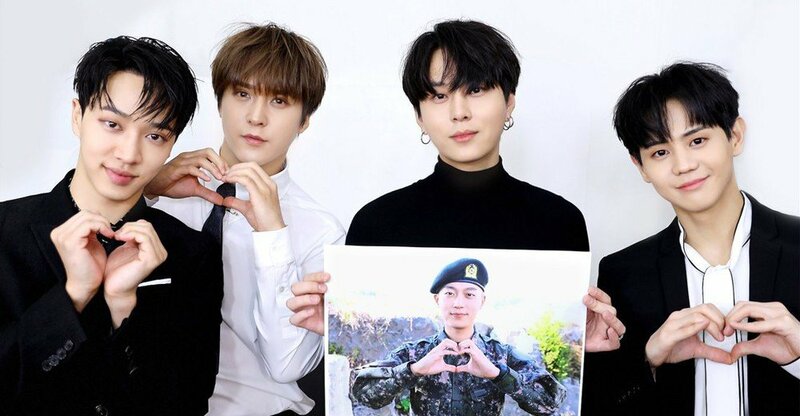 Kikwang, Junhyung, and Dongwoon also plan on enlisting some time next year. I hope it's something that us international fans can help stream. Take Care was an extremely emotional ballad that I feel bad for not being able to support more! A mini-album is more than I was expecting so I'm looking forward to it, too!